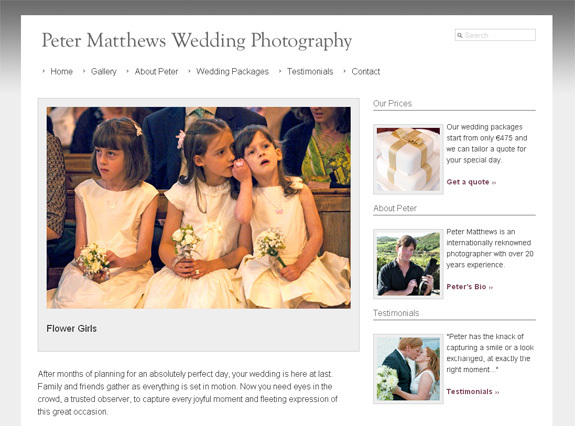 About the Project: I built this website for the very talented Peter Matthews, a Bray-based photographer. 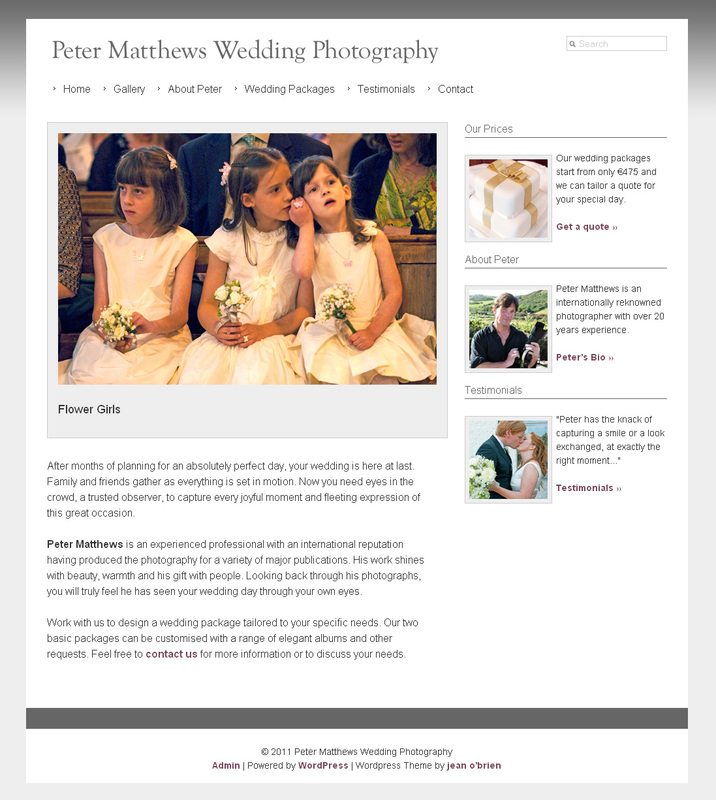 The brief was to keep the site quite clean and minimalist, in order to make Peter’s beautiful photography the main focus. The site was built through WordPress, and contains a slideshow gallery on the homepage. Peter has an extremely impressive portfolio and cv – his work has appeared in the New York Times, National Geographic Traveler, USA Today and Newsweek. He is also a personable and lovely individual, and would be a pleasure to have around at a wedding – I would very much recommend getting in touch with him if you are looking for a wedding photographer.